“This is a textbook example of an ‘Internet of Things’ (IoT) threat: A network-connected device, controlled and maintained by a third party, which cannot be easily patched, audited, or controlled by your own IT staff,” Dunker wrote. I would like see some industry acknowledgement of this before we start to see more stand-alone payment applications entice users to supply biometric data, but I share Dunker’s fear that we may soon see biometric components added to a whole host of Internet-connected (IoT) devices that simply were not designed with security in mind. Also, breaches like this illustrate why it’s critically important for organizations to segment their internal networks, and to keep payment systems completely isolated from the rest of the network. However, neither of the victim organizations referenced above appear to have taken this important precaution. To illustrate this concept a bit further, it may well be that the criminal masterminds behind this attack could have made far more money had they used the remote access they apparently had to these Avanti devices to push ransomware out to Microsoft Windows computers residing on the same internal network as the payment kiosks. This entry was posted on Saturday, July 8th, 2017 at 11:09 am	and is filed under Other. You can follow any comments to this entry through the RSS 2.0 feed. Both comments and pings are currently closed. I just received an update on this from my building about our specific system in our break room. UPDATED ON AVANTI ISSUE: NO INFORMATION WAS COMPROMISED. As you are aware, Avanti Markets, the kiosk provider for , had a cyber-attack on July 4th. 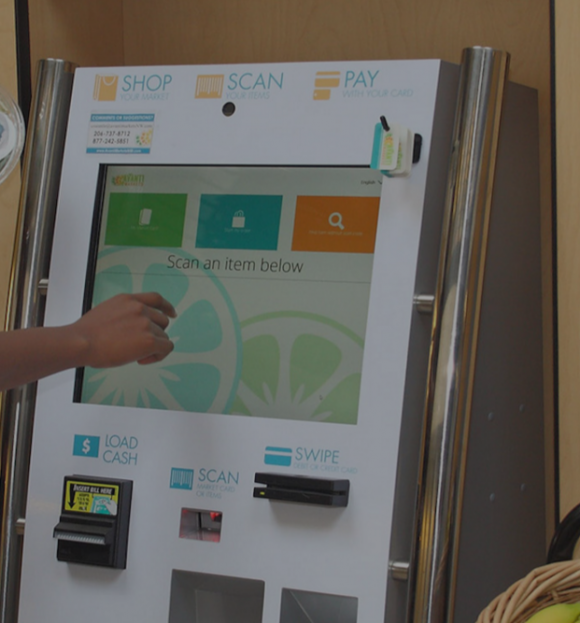 Their system was hacked and malware was pushed to approximately 40% of the kiosks they have deployed in the U.S. The malware was able to steal credit card data if the kiosk had their old credit card readers. , within the last 60 days, replaced all of the credit card readers we had on our kiosks. The new readers by Ingenico provide a full encryption from the swipe until it reaches the processor (Bank of America Merchant Services). This malware had no affect for any of your customers and no credit card information is at risk. In addition, if the kiosk on site has a biometric reader (thumbprint), it is also fully encrypted as well. No data is at risk here either. Over the past several days Avanti has remotely upgraded the windows operating systems on the kiosks throughout the U.S. In addition, they installed new security software to better protect the operating systems. In conclusion, no action is taken by you or any other market users and no one’s information was compromised. The system is fully operational without malware. The 2 odd floating comas are because i removed the local vendor name from the email. …I’ll just stick to quarters and dollar bills, thanks. Pretty sure you can’t get my information off of a quarter. Personally I don’t really understand why we insist on using our cards to buy a soda or candy bar. Is it really that hard to grab a few quarters before you head out for work? Yes, if you don’t use cash. I don’t think I’ve held a dollar bill in over a year. So bad to hear this information but almost every industry now adopting this kiosk technology to speed up their process for customers and Yes hackers are there who always want to crack the software and do some malicious things which are illegal. Don’t worry it happens in every software.